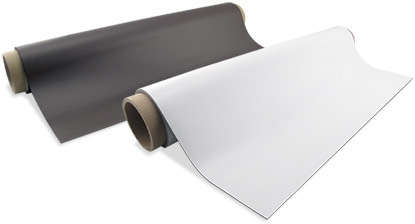 Available in widths up to 48" with or without adhesive, or in white. Choose plain surface or several different laminates, including several colors. May be UV screen printed, eco solvent or solvent inkjet printed. Available in large or standard-sized rolls. Choose from several different lengths, widths, thicknesses and surface laminations. Available with or without adhesive, or white vinyl. Can be cut to length, scored or cut through the magnet to the liner. to create changeable graphics and signage. 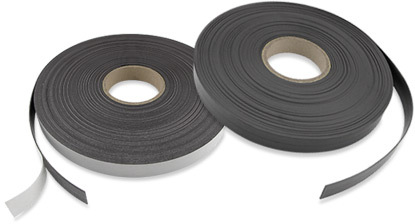 New Force adhesive back magnetic sheet is adhered to the wall or other backer board. 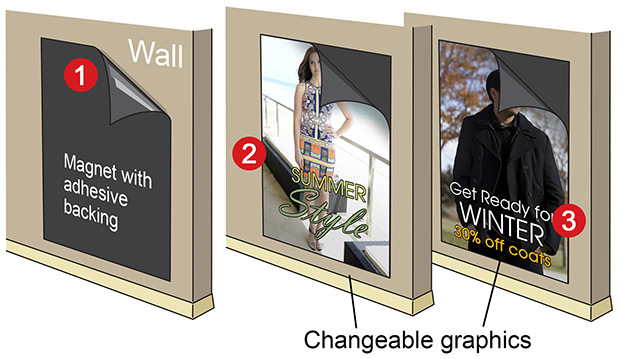 A changeable sign is printed on magnetic receptive transitional graphics and attached to the magnet.